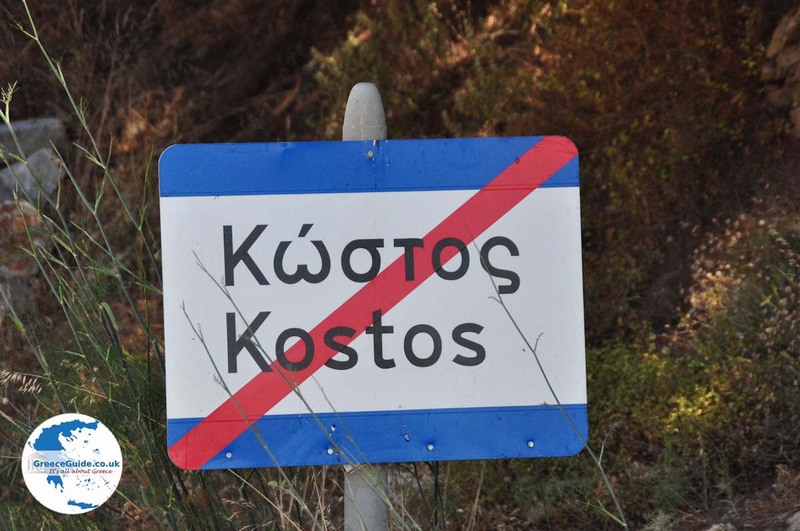 Kostos. 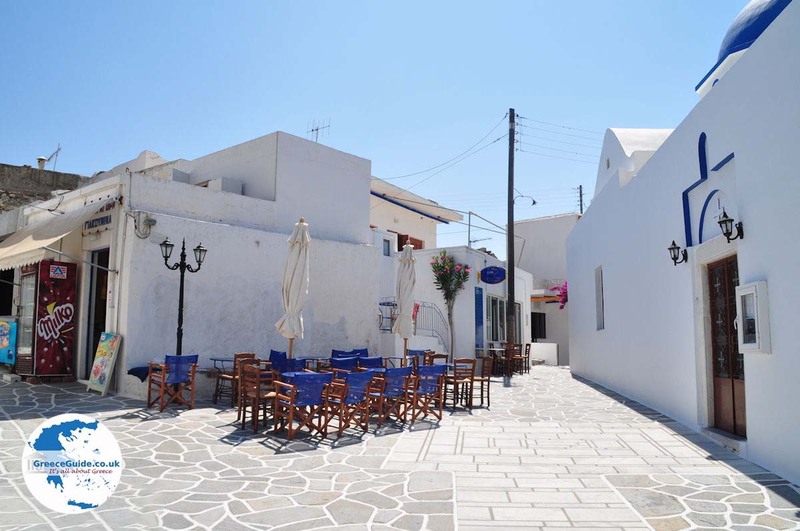 Kostos is a picturesque village located on the road from Parikia to Lefkes, on the Greek island of Paros. 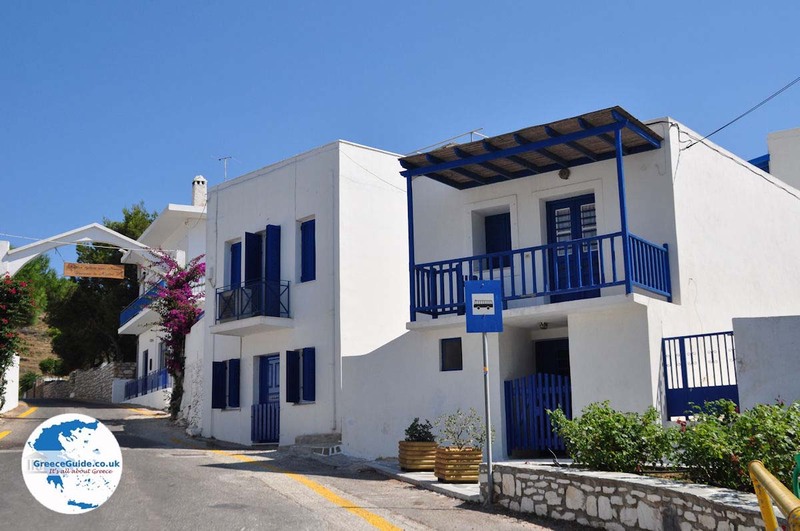 It is a typical Cycladic village of white houses with blue doors and window frames. 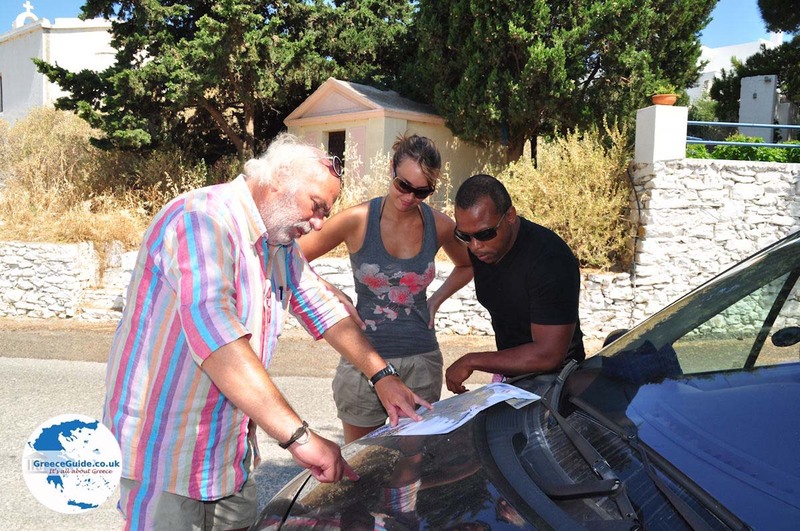 It is worth stopping in the center, where you will find two strikingly beautiful churches; the church of Aghios Panteleimon and the church of Agia Marina. The church of Aghios Panteleimon (the white church) was built in the 17th century. 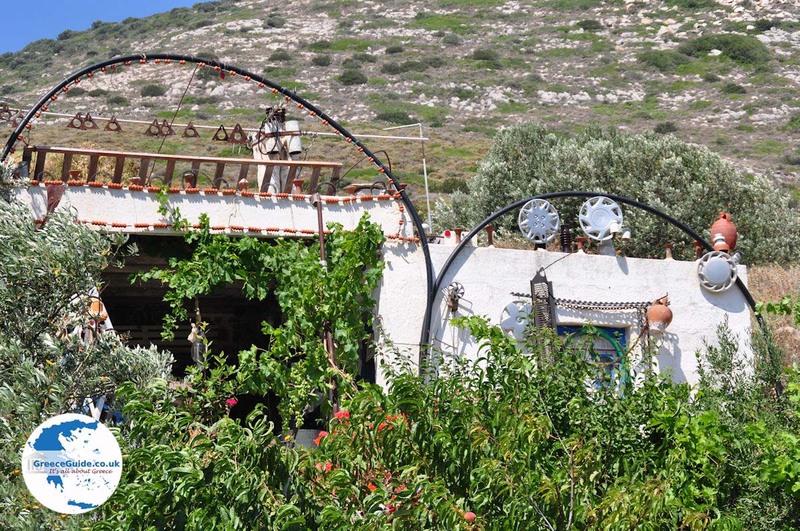 Every year on July the 27th festivals are held in Kostos in honor of St. Panteleimon. 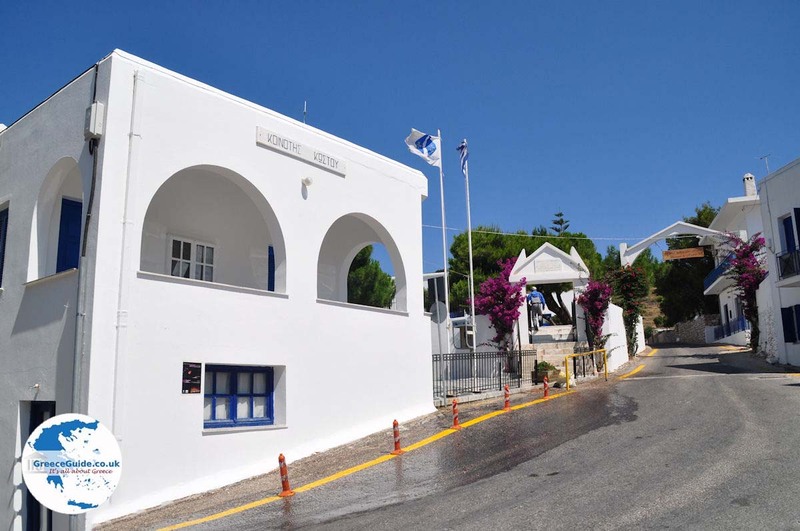 On July the 17th there are celebrations in honor of Agia Marina (the stone church). 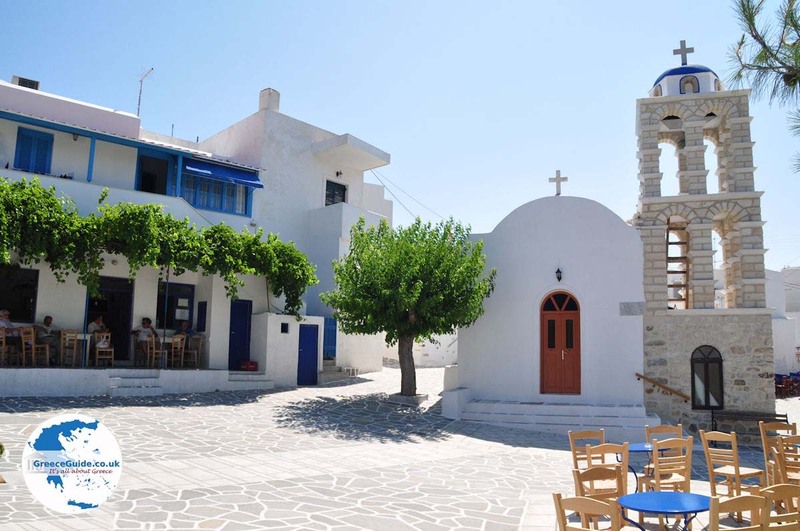 Opposite these churches are the school, a café, a tavern, a small shop and the town hall. 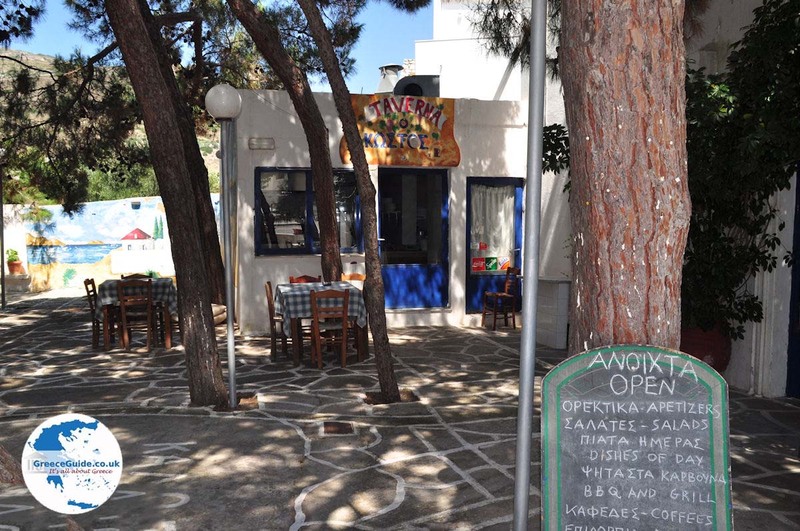 At the café you can order Souma, the local, traditional wine of Paros, made from the pulp of pressed grapes. 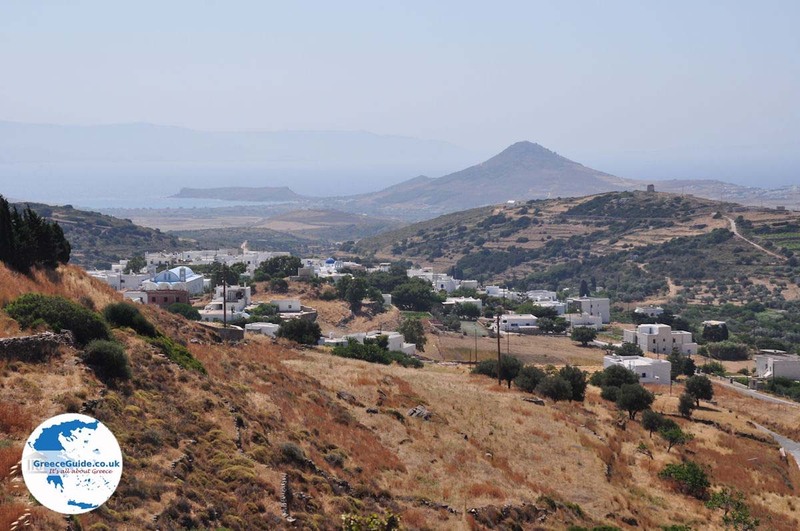 The village of Kostos is located only seven kilometers (4 mi) from Parikia, at 160 meters (525 ft) above sea level. 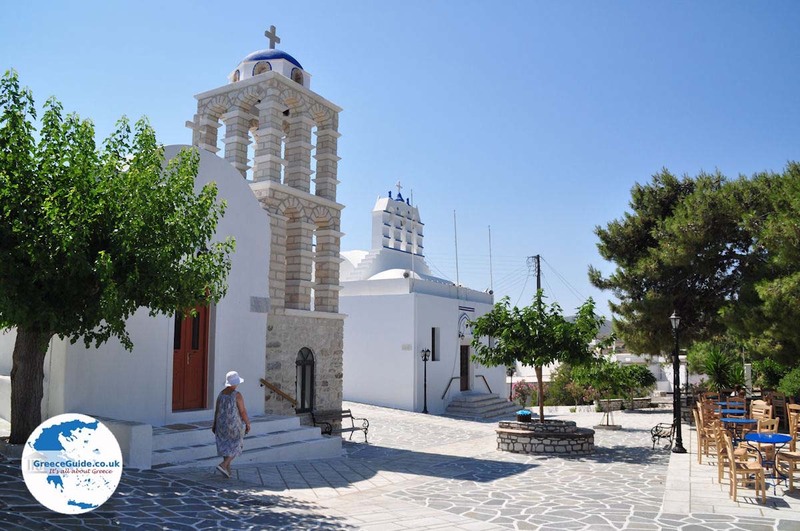 In this village, Holy Athanasios Parios is honored every year on the 24th of June. 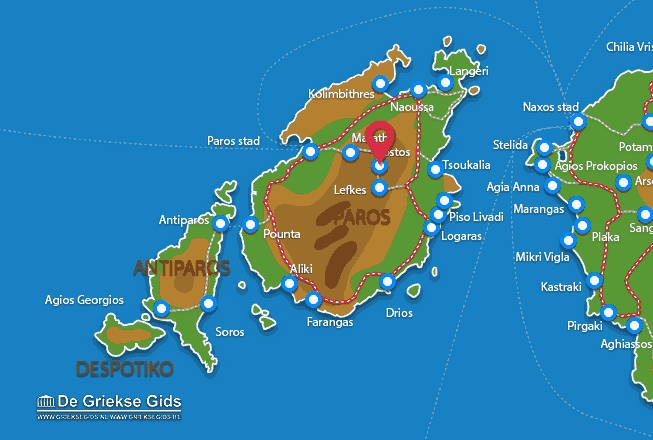 Paros: Where on the map is Kostos located?